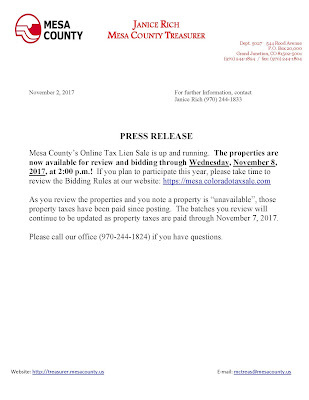 As you review the properties and you note a property is “unavailable”, those property taxes have been paid since posting. 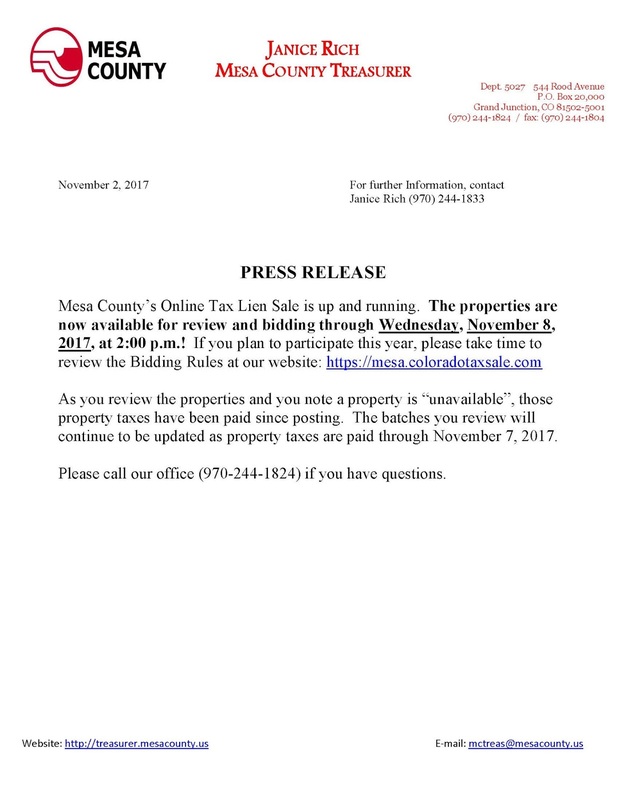 The batches you review will continue to be updated as property taxes are paid through November 7, 2017. Please call our office (970-244-1824) if you have questions.